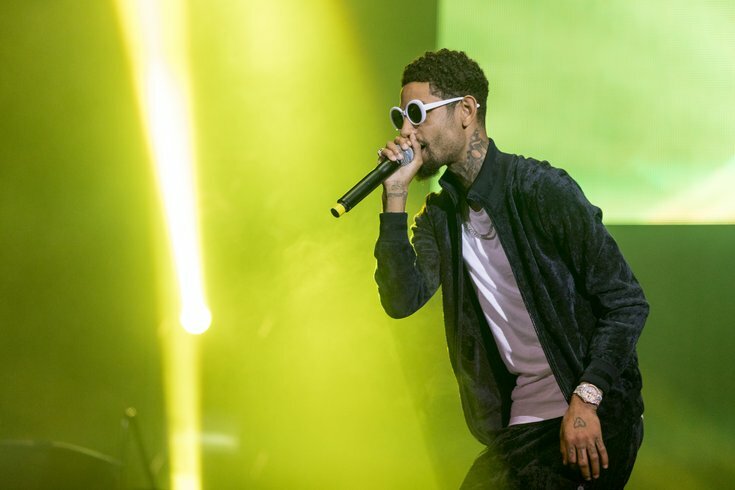 Philadelphia rapper PnB Rock was arrested in Bucks County on Monday on narcotics and firearm charges. The artist, whose name is Rakim Allen, was charged with possession with intent to deliver, possession of narcotics, criminal conspiracy, and other offenses, authorities said. According to Bensalem police, neighbors made multiple complaints about excessive noise and a constant odor of marijuana from his home. Police said an investigation that began in November led them to develop probable cause that Allen was selling marijuana. Police executed a search warrant on Sunday afternoon and found four pounds of marijuana, scales, packaging material, more than $30,000 in cash, and a stolen handgun, according to police. 6ABC reported that Allen grew up in Germantown and uses PnB as an acronym for the intersection of Pastorius and Baynton streets.